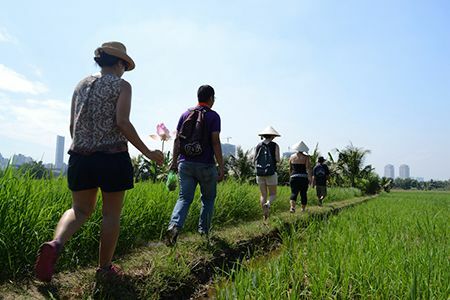 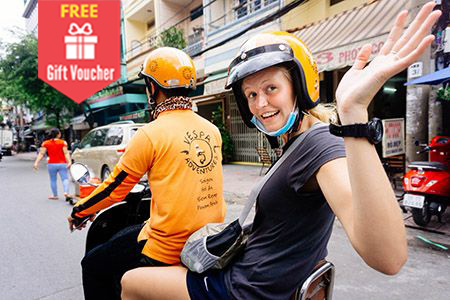 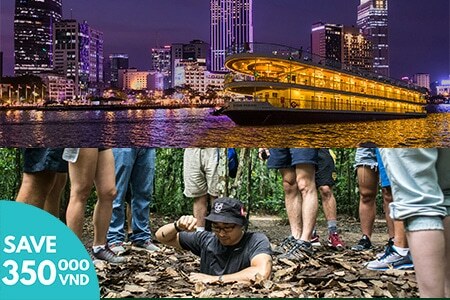 Cu Chi Tunnels half day tour by speedboat is one of Les Rives best selling tours, you will travel like a VIP and arrive hours before the large bus tour groups to the famous Cu Chi Tunnels historical site (also pronounced as Chu Chi Tunnels by some foreigners ). 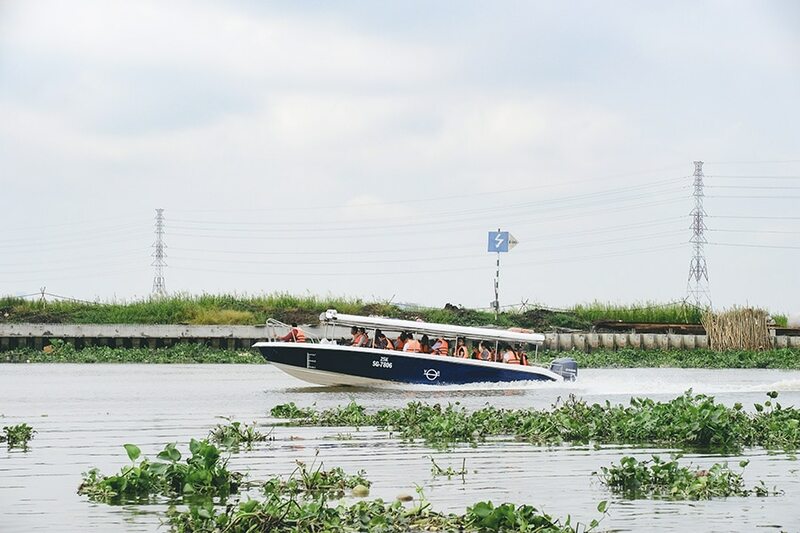 Because this is a popular attraction with Vietnamese school children and holiday-makers, we set out early to avoid large crowds, ensuring that our boats arrive before everyone else. 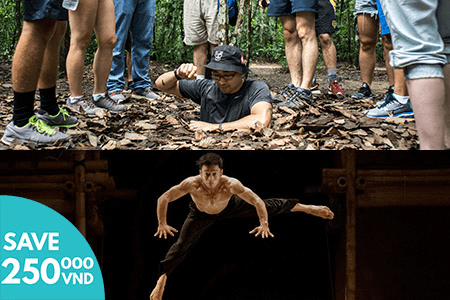 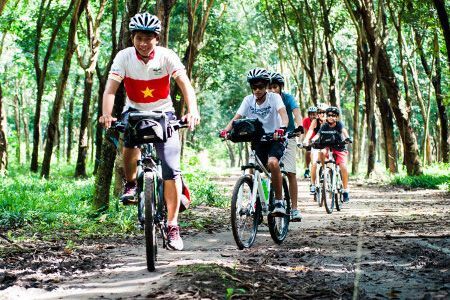 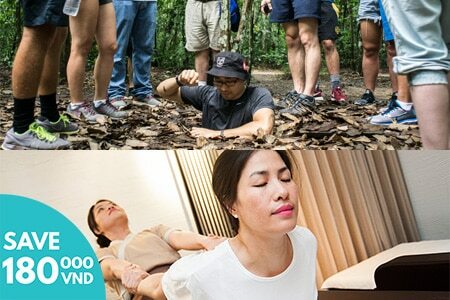 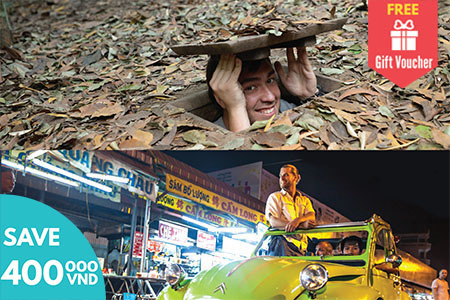 You will have an opportunity to uncover the secrets of the Cu Chi Tunnels, a vast network of underground passageways built and used by the Viet Cong to evade detection as they moved troops and supplies throughout Ho Chi Minh City’s northern districts. 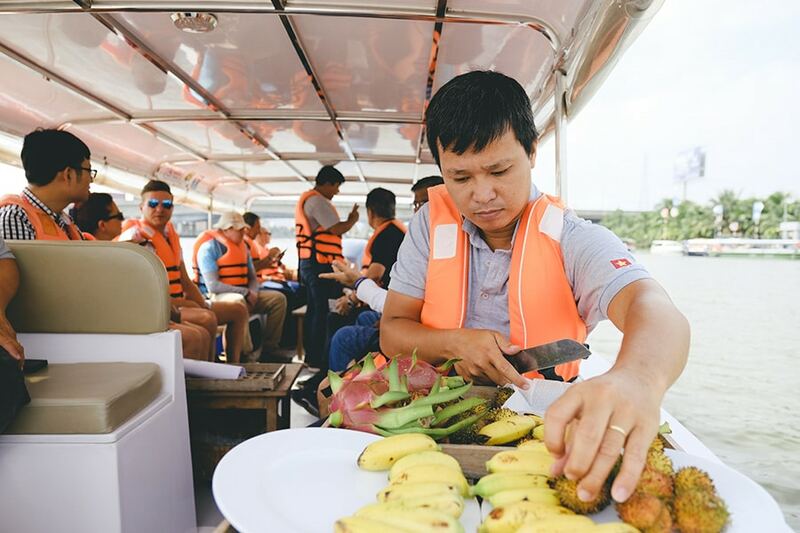 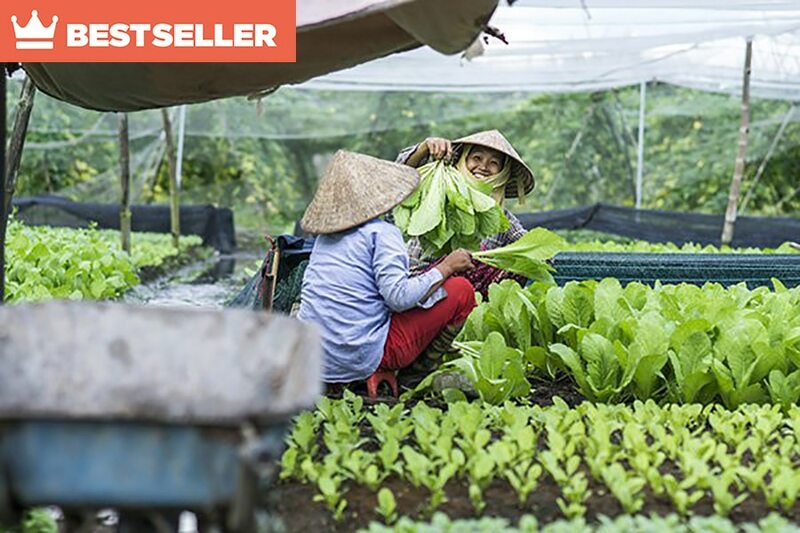 During the speedboat trip to Cu Chi Tunnels, Les Rives English-speaking guide will introduce you to life along the banks of the Saigon River as your boat gracefully slips through knots of floating water hyacinths on this scenic boat trip. 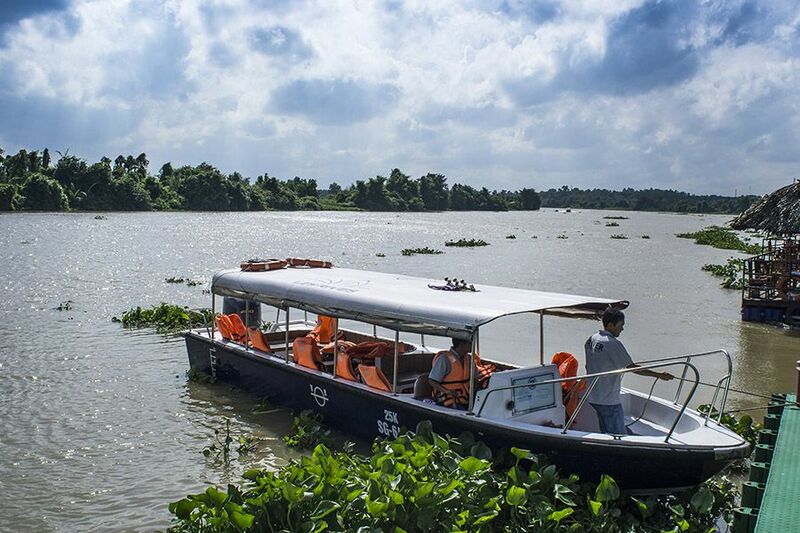 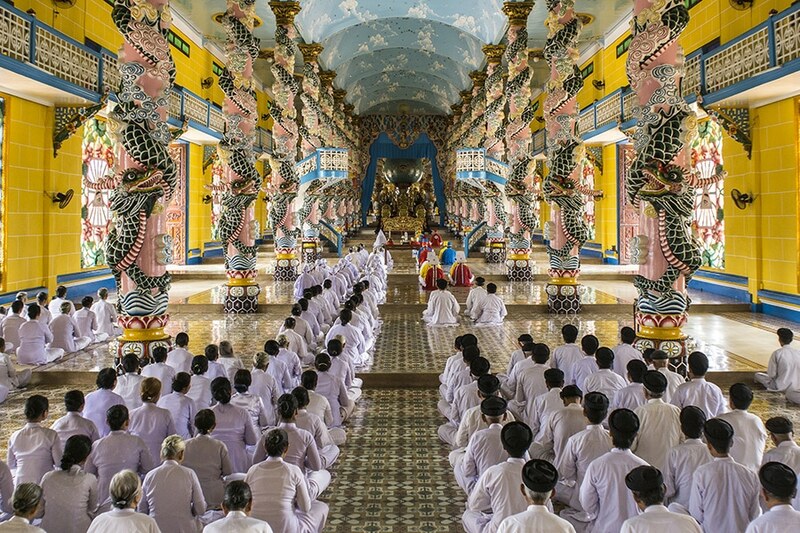 You will have a chance to enjoy a window into traditional Mekong river life and wonderful photo opportunities. 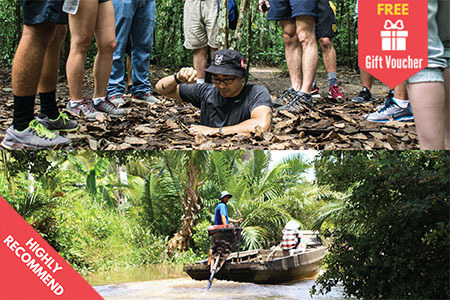 After a short documentary, Les Rives guide will lead you through the historic Cu Chi, dug by resourceful guerrilla fighters to provide communication and supply routes, hospitals, food and weapon caches and living quarters during numerous conflicts. 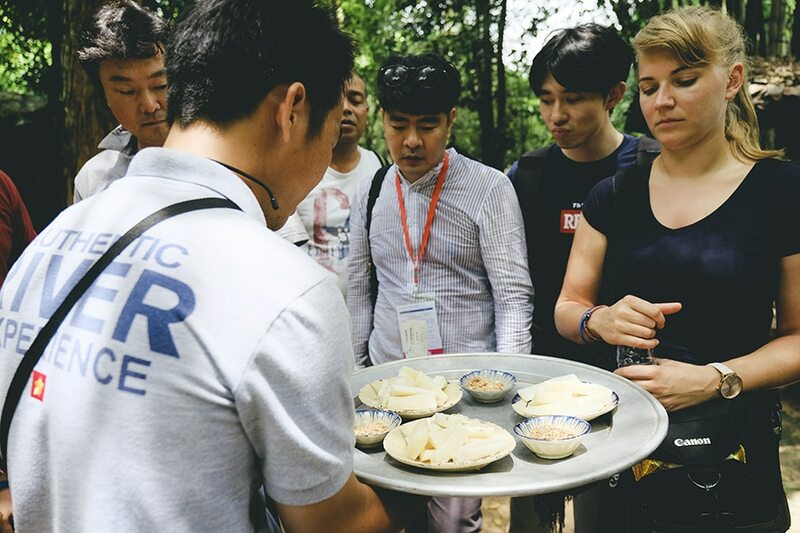 After you visit the tunnels, a traditional Vietnamese lunch or dinner of local specialties like lemongrass chicken and caramelized clay pot pork will be served. 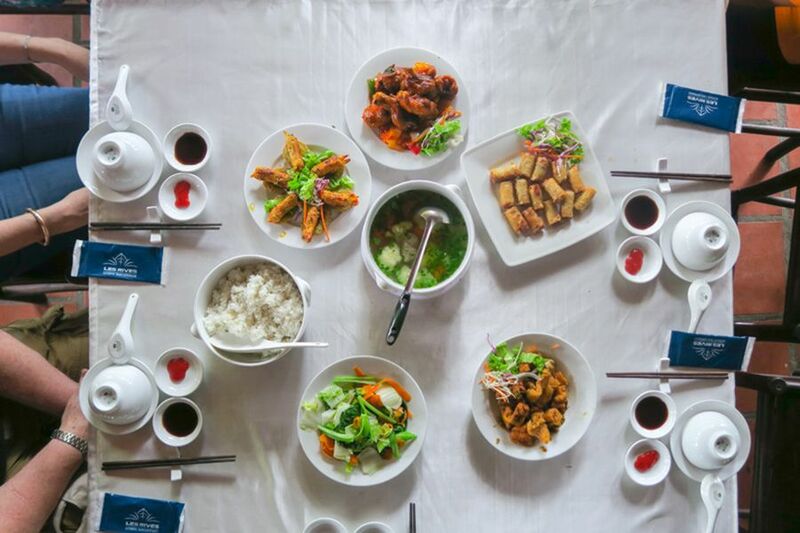 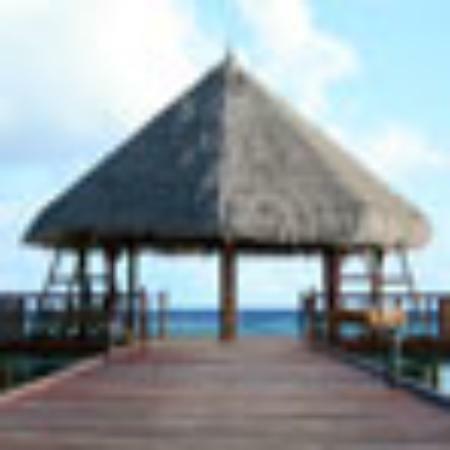 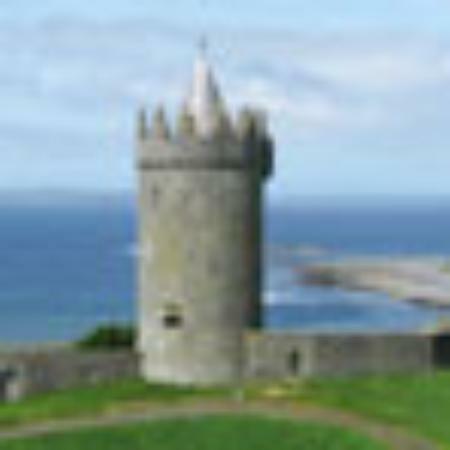 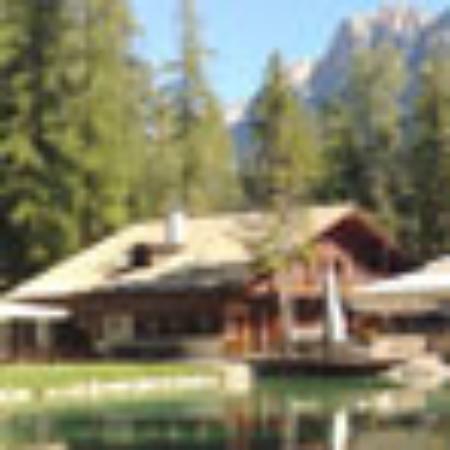 Inclusions: Light breakfast & lunch (morning departure), lunch (afternoon departure), unlimited refreshments and local fruit, English-speaking guide, all entrance fees, pickup and drop off at centrally located hotels. 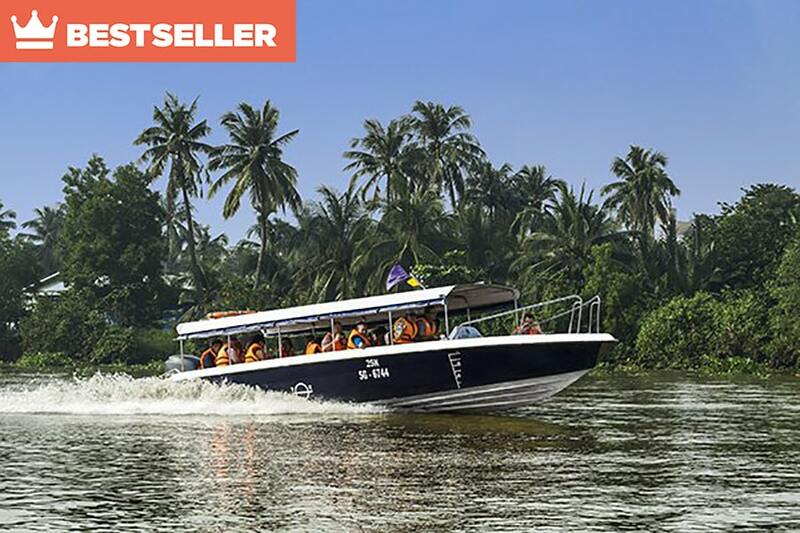 7:00 am: Early in the morning, Les Rives guide will meet you at your hotel’s lobby and bring you by car to our speedboat at Tan Cang pier. 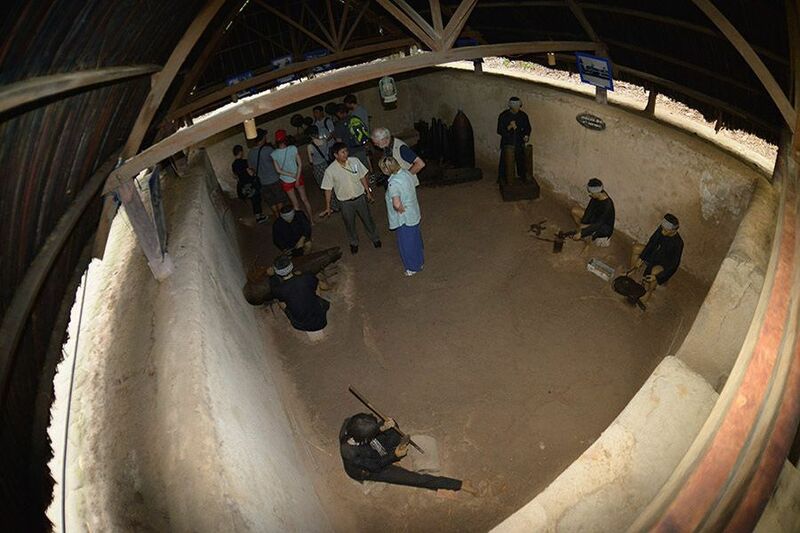 Our Cu Chi Tunnels tour – Historical Site will include visiting an American weapons gallery, and later on even a bullet riddled tank. 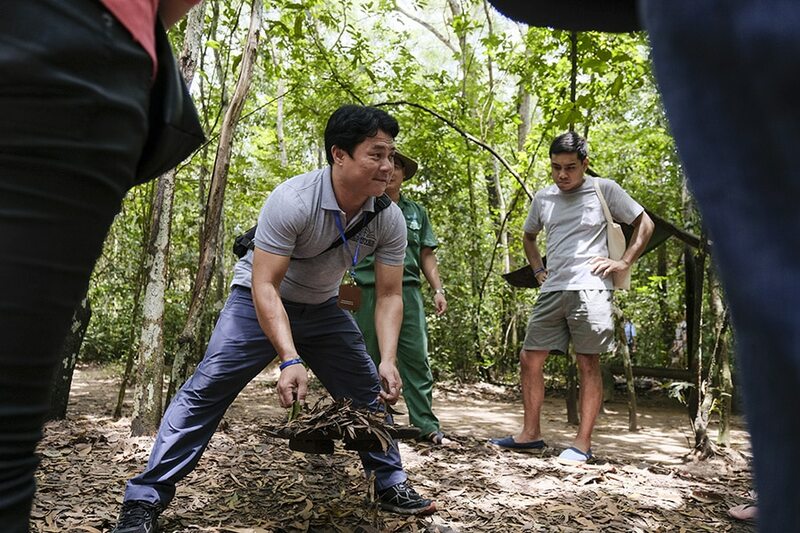 Then you will be shown a variety of ingenious and rather brutal booby traps used by the Viet Cong. 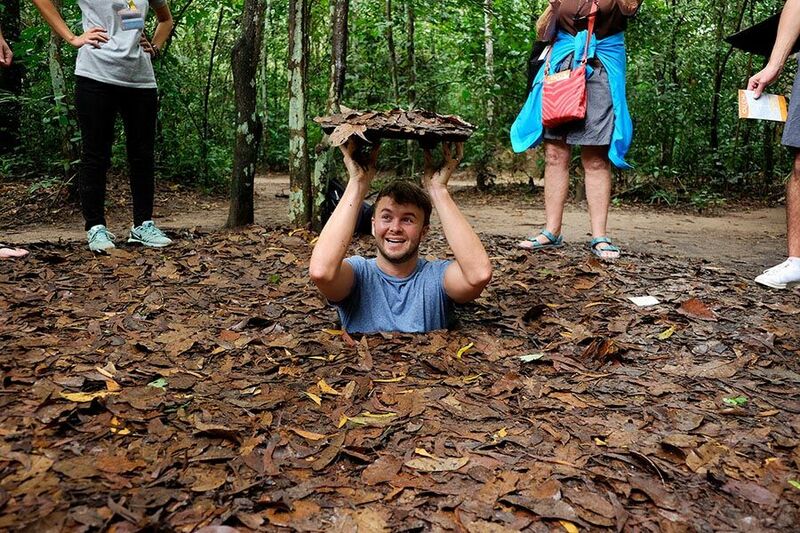 Cu Chi Tunnels also include secret entrances hidden by fake termite mounds and other creative disguises for you to discover. 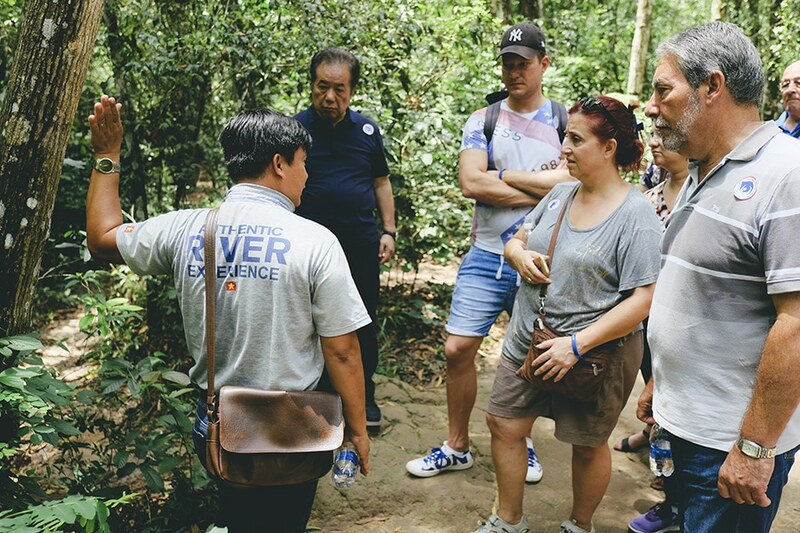 Our knowledgeable guides will explain to you everything about the Cu Chi Tunnels from how the kitchens fed up to 10,000 fighters in tunnels (and how they disguised the smoke), to how they defended the tunnels from American bombs and infiltrators. 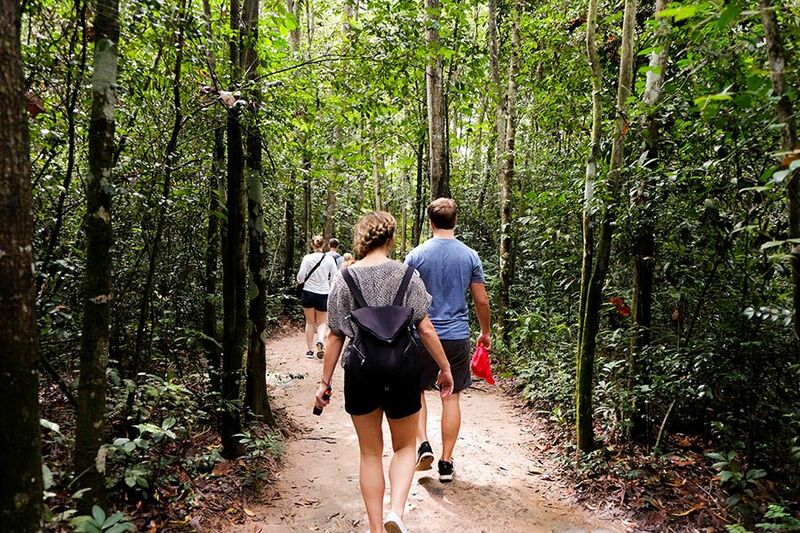 You’ll even see the huge crater formed by an American B52 bomber. 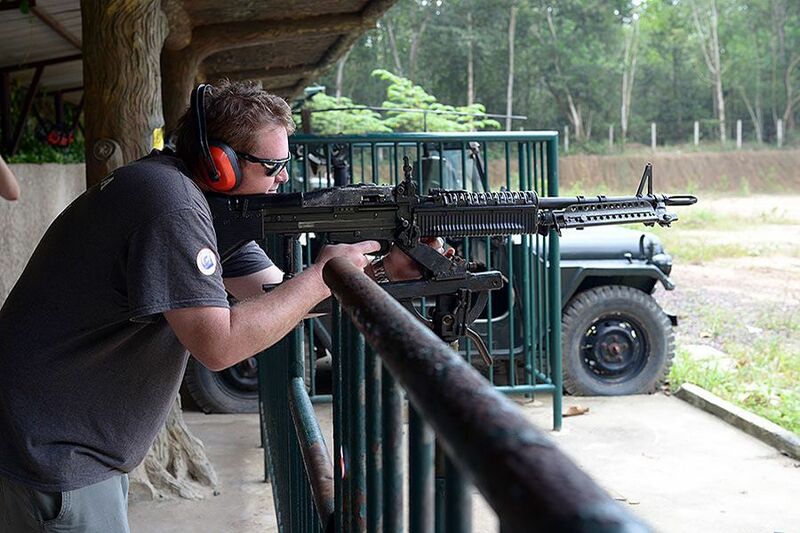 At the end of the tour, there is a firing range that allows you to fire real war-era weapons including the M66 and AK47. 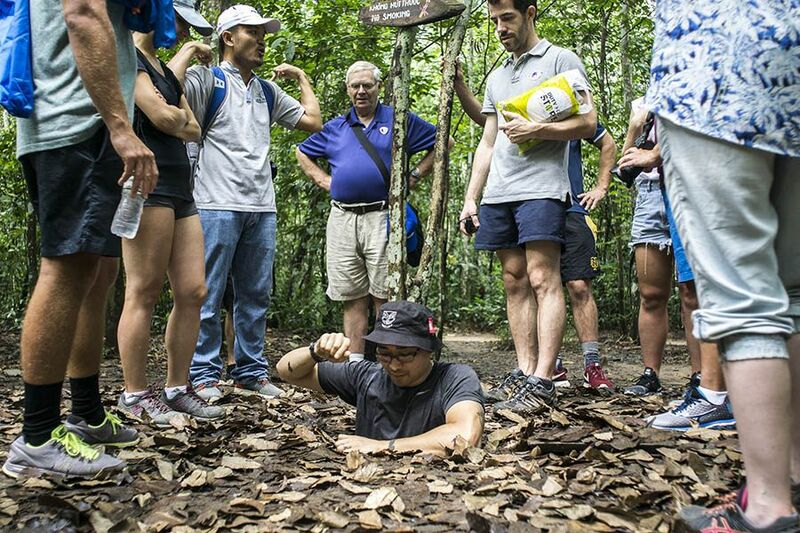 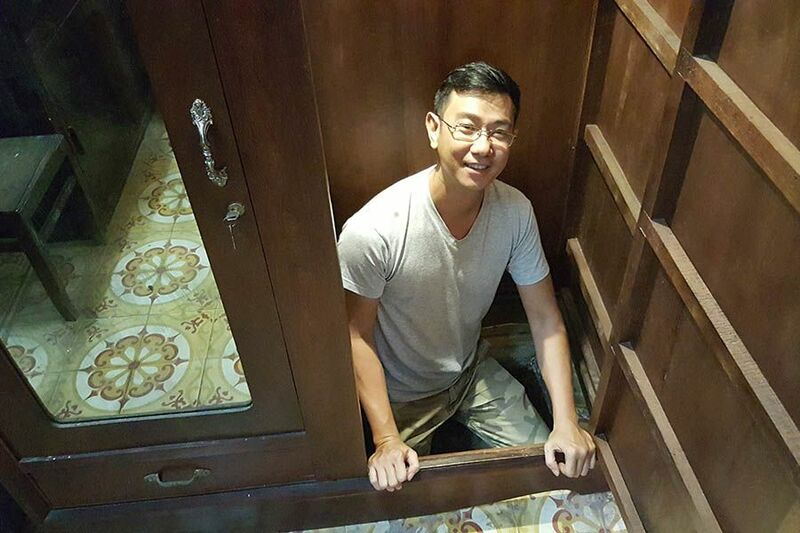 What to know in advance of Cu Chi Tunnels tour.